We are a Client Focused Law Firm that can help people just like you. You will be able to talk to a real lawyer during a free consultation and be provided with a plan of action so we can show you how we are going to work to make your situation right. Attorney Miguel R. Palmeiro and his team have worked tirelessly to help clients. Recently the practice has grown to help serve even more clients. When things go wrong, we're fight to make it right. We have grown to a full team of attorneys and staff trained to handle most cases dealing with Personal Injury / Automobile Accidents, Business Law / Contracts / General Litigation, and Immigration Law. We provide FREE initial consultations where you can meet one-on-one with an attorney and discuss the problems you are facing. Call or message us TODAY! 301-363-2191. We have grown to a full team of attorneys and staff trained to handle most cases dealing with Personal Injury / Automobile Accidents, Business Law / Contracts / General Litigation, and Immigration Law. When you have put your trust in a medical professional to take care of you or a family member, it can be both emotionally and physically devastating when mistakes are made. Medical malpractice occurs when a healthcare provider fails to provide care up to the accepted standard of care in the medical community and leads to the injury or death of a patient. Generally speaking, if a healthcare provider fails to act up to the standard their level of training requires, they may be liable for any resulting damages. When an injury results from medical malpractice, you may be able to file a lawsuit against the medical professional or hospital whose negligence cause you or your loved ones harm. Such lawsuits can help compensate you for lost wages, pain and suffering, and medical bills. Our medical malpractice attorneys handle: Birth Injuries Cerebral Palsy Misdiagnostics Surgical Errors Hospital Mistakes Brachial Plexus Injuries Dental Malpractice Brain Damage Birth Hypoxia Other Conditions If you have been a victim of a doctor or medical professional failing to properly diagnose any issue relating to Medical Malpractice, Birth Injuries, or Dental Malpractice, call our highly qualified staff and attorneys for a free case evaluation TODAY! 301-363-2191. Each member of our staff is highly qualified and we have attorneys and affiliations with attorneys who are admitted to practice in every jurisdiction throughout the United States. No matter what your injury or where it occurred, The Law Office of Miguel Palmeiro, LLC has the resources to aggressively protect your legal rights. A serious accident, whether a car accident, a slip and fall or any other unexpected injury, can be a traumatic experience. At the Law Offices of Miguel Palmeiro, we focus on providing top-quality representation in the Rockville and DC Metro Area. We understand that the unexpected can derail life plans, and the pain already being suffered should not be compounded with worrying about asserting your legal rights or having to argue with insurance for the money you deserve. We fight for every penny for past, current and future medical bills, pain and suffering, lost wages and the ability to care for oneself and family. personal injury team Our accomplished trial lawyers handle: Automobile Accidents Motorcycle Accidents Slip and fall accidents Dog Bites Wrongful Death Medical Malpractice Product Liability Construction Accidents An experienced personal injury lawyer can help you through this difficult time and provide you with the resources you need during your recovery. The easiest way to find out if your eligible for compensation is by talking to an attorney. Schedule a free consultation with a skilled and experienced Personal Injury Attorney at the Law Office of Miguel Palmeiro, LLC online or via telephone at (301) 363-2191. Negligence is the primary cause of traffic accidents. Driver negligence can happen because the driver is distracted, under the influence of drugs or alcohol, speeding or driving carelessly, or failing to obey the rules of the road. To show that negligence was present in an accident, it must be proven that injury to one's vehicle or person was caused by a negligent driver, that that the negligent driver did not fulfill their duty to control their vehicle. Other conditions that may cause traffic accidents include traffic congestion, road construction, inclement weather conditions, and unexpected debris in the roadway. Whether the other driver's negligence was intentional or accidental does not matter. You may be subject to many issues due to the other driver's negligence, including damage to your vehicle, temporary or permanent injury or disability, lost current or future wages, pain and suffering, diminished quality of life, and wrongful death. WHAT TO DO? A common mistake many drivers make after having been in an accident is to neglect to call an attorney. This can be a big mistake, and can potentially hurt your chances for financial restitution. Likewise, if you contact your insurance company before calling an attorney, you may unwittingly forgo some of your rights. Insurance companies hire attorneys to protect their financial interests and it is in your best interest to do the same before contacting your insurance company. If you have suffered a serious injury, we may be able to help you collect compensation beyond that which is provided through insurance claims. When driver negligence causes a traffic accident, it is grounds for a lawsuit, and you may be entitled to compensation. Your insurance company may not reveal this information, but the legal team at The Law Office of Miguel Palmeiro, LLC can help you find out about your rights and formulate a solid legal plan in your pursuit of financial restitution. Please contact our office to schedule your traffic accident consultation. If you have suffered a serious injury, we may be able to help you collect compensation beyond that which is provided through insurance claims. 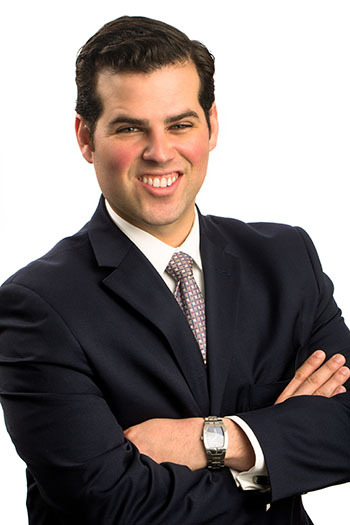 Since 2006 when Mr. Palmeiro entered law school he became involved in trial advocacy classes and civil litigation. Palmeiro's command of civil procedure and litigation is complemented by his courtrooms skills, honed by years litigating cases and now working on larger cases, and several new class action lawsuits. He is also active in the county and state bar association. Fluent in Spanish, Portuguese, French, and English, he has been elected into the Hispanic Bar Association of Maryland to help represent Hispanics and Latinos in Maryland. Above all, his firm takes great pride in their longstanding commitment to the community and providing a voice to those that are hurt / injured / disadvantaged and cannot speak for themselves.